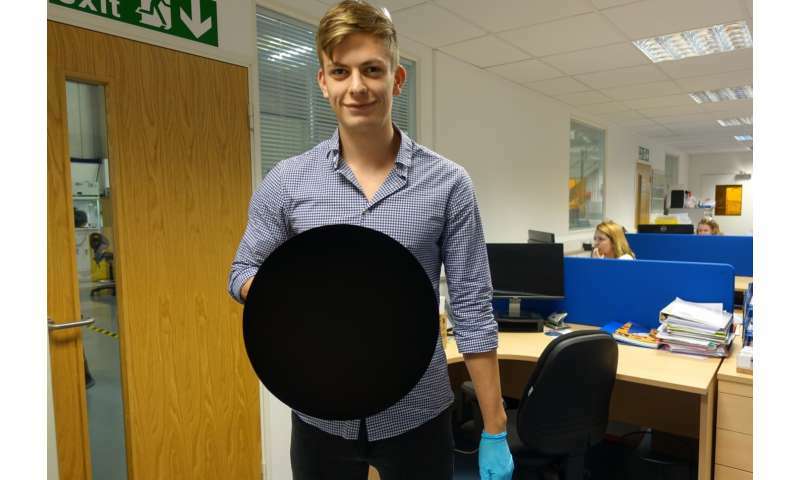 (Phys.org)—U.K.-based Surrey Nanosystems has announced that it has improved on the original Vertically Aligned Nanotube Array BLACK (Vantablack coating) which the company claimed to be the blackest material ever made. The original Vantablack was found to absorb 99.96 percent of visible (and ultraviolet and infrared) light—the new Vantablack is darker—so much so that it cannot be measured by a spectrometer. Vantablack is made by chemically growing a network of carbon nanotubes (each of them is just 20 nanometers in diameter and approximately 14 microns to 50 microns in length) in a high-temperature chamber, creating a forest of sorts on a base such as aluminum—the nanotubes are so small and dense that the company reports that over a billion of them exist on a 0.1 in square patch. The material is then applied as a coating to another object—light hitting the coating is absorbed because it is bounced around between the nanotubes instead of being reflected back. Such materials have an eerie look, as they appear to be missing features normally seen in other black materials. The result is striking—coated objects appear is if they have been photoshopped to remove all traces of contours and other features. It is only by changing the angle of objects coated with the material that features are visible. 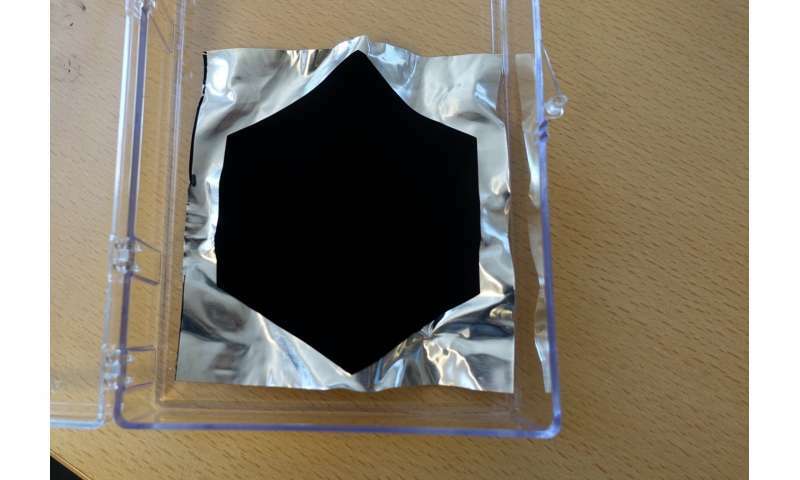 Nanosystems has also reportedly developed a spray version of Vantablack (Vantablack S-VIS.) which should make the coating more accessible to anyone who wants to use it, though it is not quite as black. Since it was first developed three years ago and marketed, artists and manufacturers have shown interest in using the coating to create unique-looking products—a watch from Contemporaine du Temps, for example, designed by British artist, Anish Kapoor, features Vantablack on its dial and minute hand—it adds a degree of depth to the watch that other watches do not have. Representatives for Nanosystems have told the press that they believe that Vantablack could also be used to improve the performance of cameras and sensors—the only drawback is that the coating is still too delicate for use in commercial applications, though it has been used on some star-tracking satellites. How much radiation does this stuff absorb in the radar-frequency range?